Are you tired of the same old 9 to 5 working week? Do you want to leave it all behind, work from home and make money online? There are numerous ways to make money through online working and Affiliate Marketing is just one of those. In Affiliate Marketing Niche Site Ninja, I am about to show you how you can start a niche website that will make you money through a whole host of exciting opportunities. The freedom you can have from working for yourself has never been more attainable. And with this book you will find impartial and relevant advice which will steer you towards whichever affiliate program suits you and your lifestyle best. 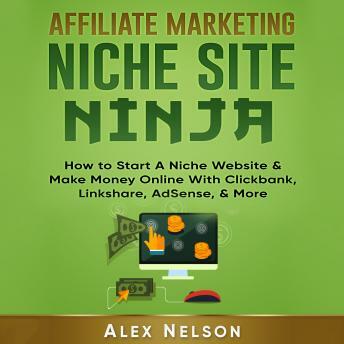 Get your copy of Affiliate Marketing Niche Site Ninja now! It will change the way you work and live, forever.